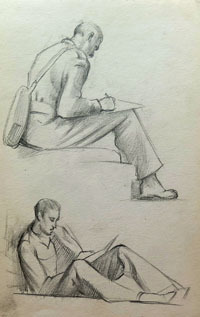 After the war, Fowler attended the Royal College of Art from which he graduated in 1949. 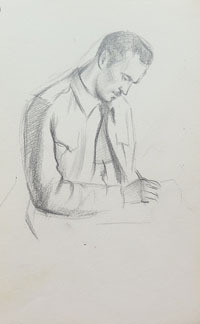 An important career as a portrait painter followed, his sitters including such eminent figures as Prime Minister Clement Atlee and Chancellor of the Exchequer Selwyn Lloyd. 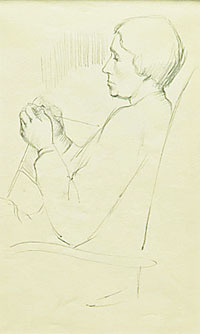 He first exhibited at the Royal Academy in 1951, and also participated in exhibitions of the Royal Society of Portrait Painters, Royal Society of British Artists, Royal Scottish Academy, and the national society. 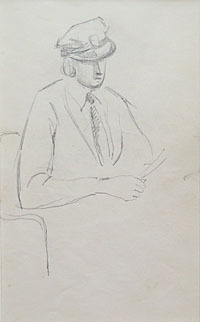 His work was exhibited at service exhibitions in India and also at the Army Arts Society Exhibition at the Imperial Institute Gallery in London. 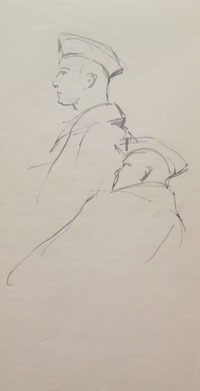 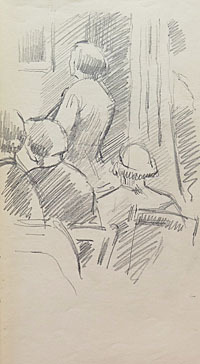 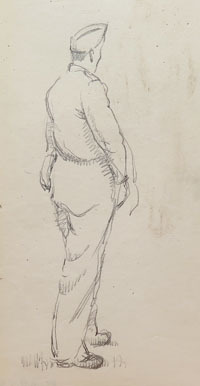 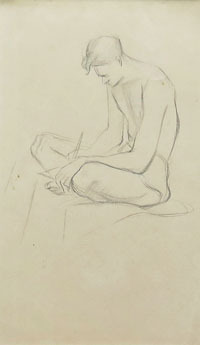 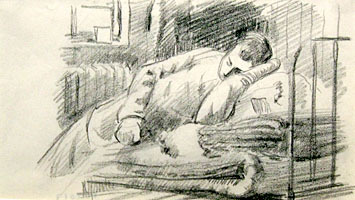 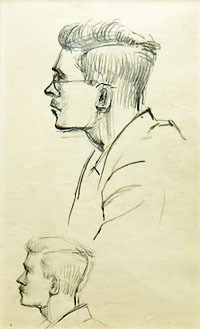 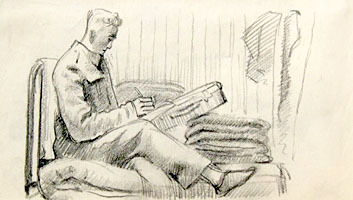 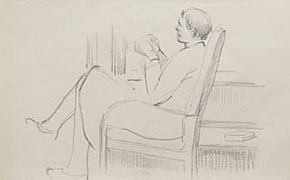 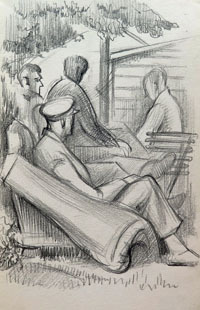 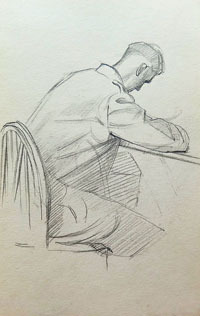 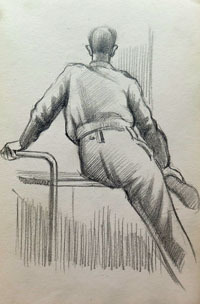 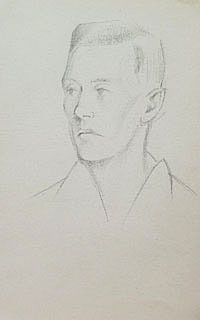 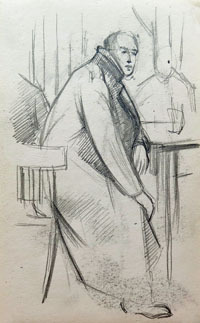 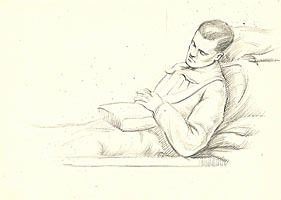 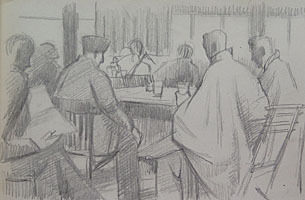 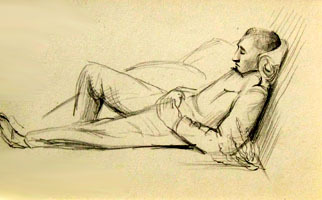 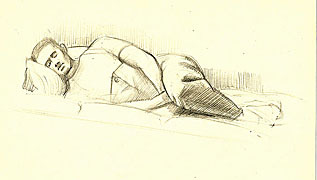 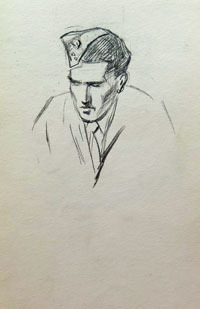 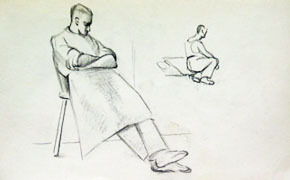 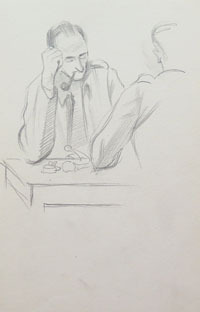 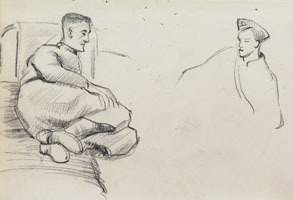 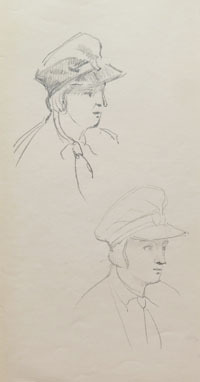 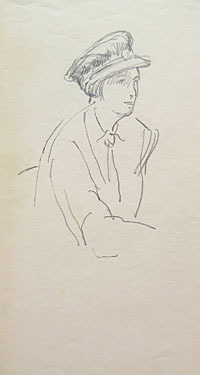 Twenty-seven of Fowler’s wartime drawings are in the collection of the Imperial War Museum in London. 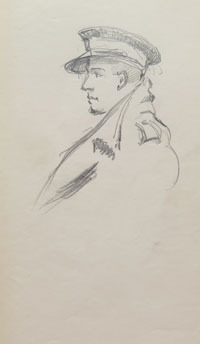 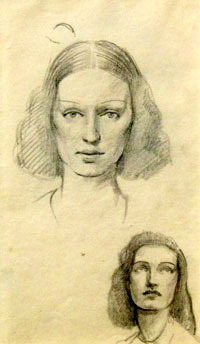 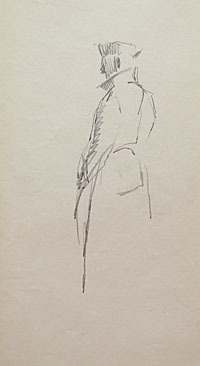 The drawings by Fowler in this collection are from his estate and were purchased directly from his widow, Jo Fowler. 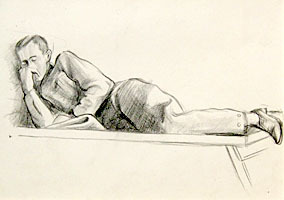 Photographs of them are in the Fowler Archive at the Imperial War Museum in London. 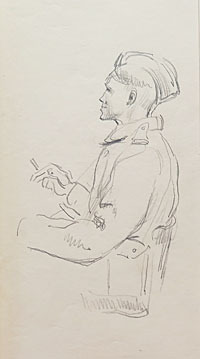 Some were featured in the 2000 online exhibition: Quiet Moments of War Portraits by Fowler are found in the Williamson Art Gallery and Museum, London Borough of Sutton Museum, and the Collection of the City of London Corporation. 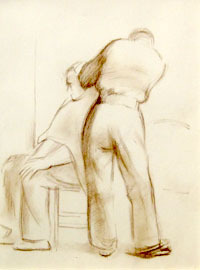 Provenance: Estate of the artist, acquired from Jo Fowler, the artist's widow.